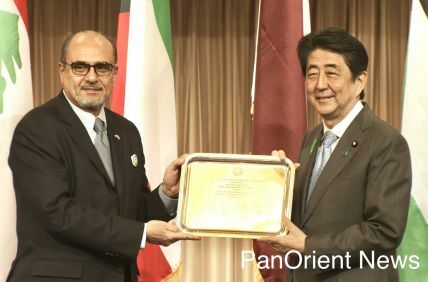 Osaka - (PanOrient News)- Although Japan lost 1-0 against Poland in Thursday’s match in Volgograd, Russia, it was not all bad news for Japanese soccer fans. 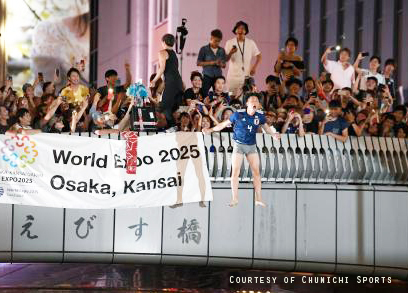 Not only did Japan still advance to the second round of the World Cup, but fans in Osaka managed to avoid injuries on the Ebisubashi bridge. Prior to the match, Osaka mayor Hirofumi Yoshimura asked fans not to jump up and down on the bridge. The mayor expressed concern for the safety of both people and bridge. 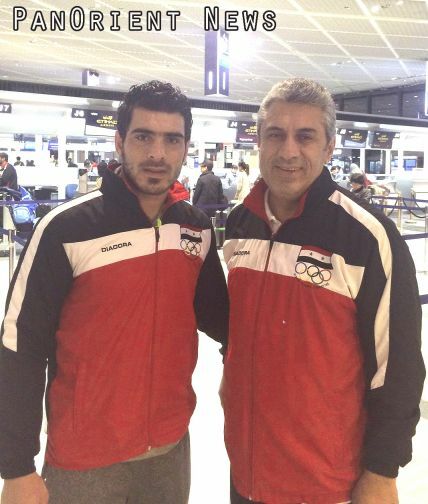 Tokyo- (Pan Orient News) Dr. Maher Khayata, Vice-President of the Syrian General Sports Federation and Vice-President of the Syrian Olympic Committee, expressed wishes for a speedy recovery to Japanese footballer Hotaru Yamaguchi who was injured during Japan's match against Syria on Tuesday and hopes he will recover quickly.